Fill your winter garden with scent, colour and silhouette! 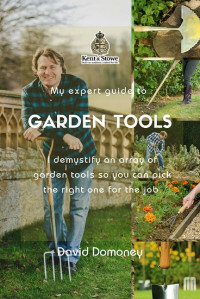 Don’t let the garden go bare and dormant over the cold months. 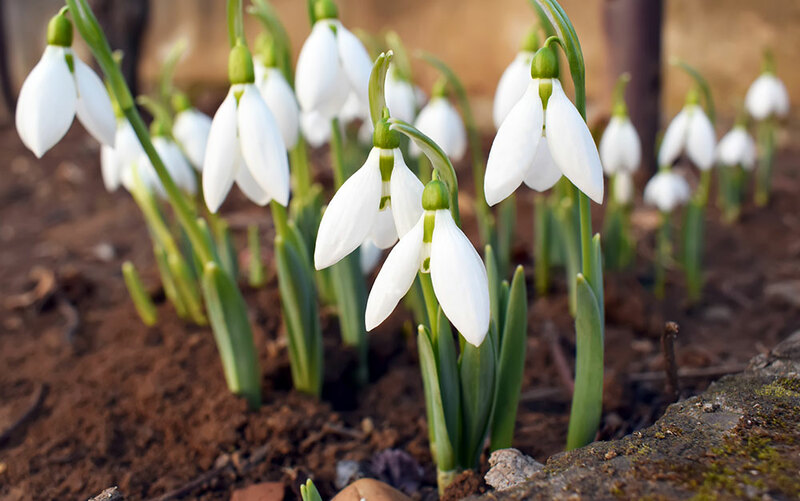 These winter-flowering plants will brighten up your pots and flower borders. 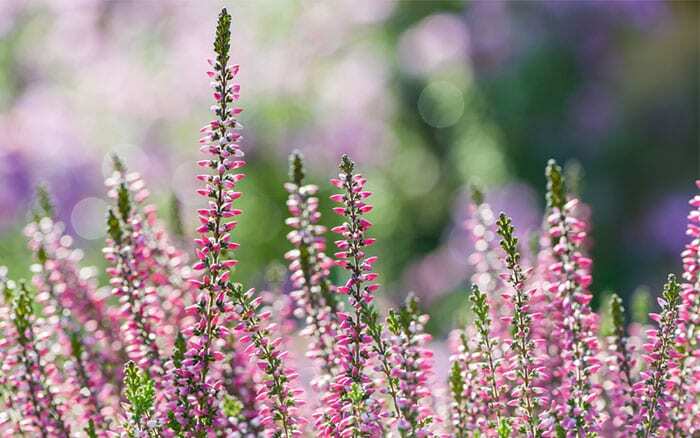 Winter-flowering heather is a brilliant plant for low-growing texture. It also looks fantastic in pots. It comes with pink, white and purple flowers. Also known as chaenomeles, this is a hardy woody shrub with thorny branches that bears cup-shaped flowers in winter and early spring. 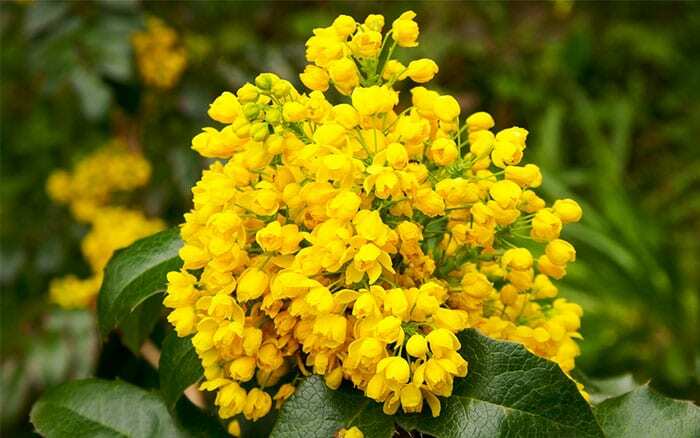 These have lovely yellow flowers and are suited to growing underneath deciduous trees and shrubs. They prefer rich, moist soil. 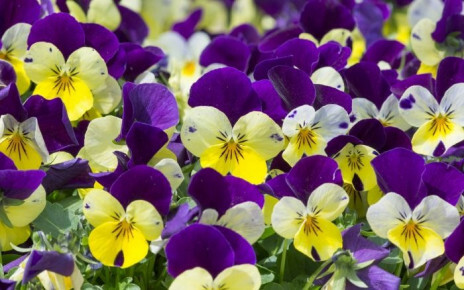 Winter-flowering pansies are a gardener’s staple – ideal for filling pots and window boxes for a flash of colour to be seen from indoors. 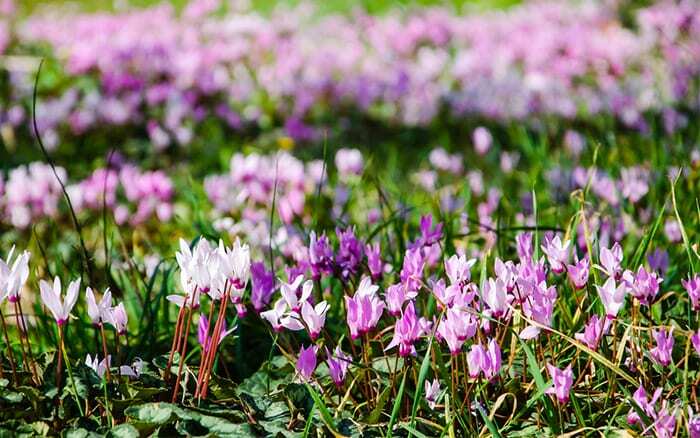 Cyclamen are winter heroes that can be brought to flower from autumn to spring. 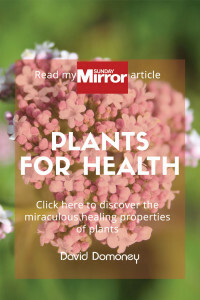 The flowers come in red, pink and white shades and look fantastic in pots or planted under trees. 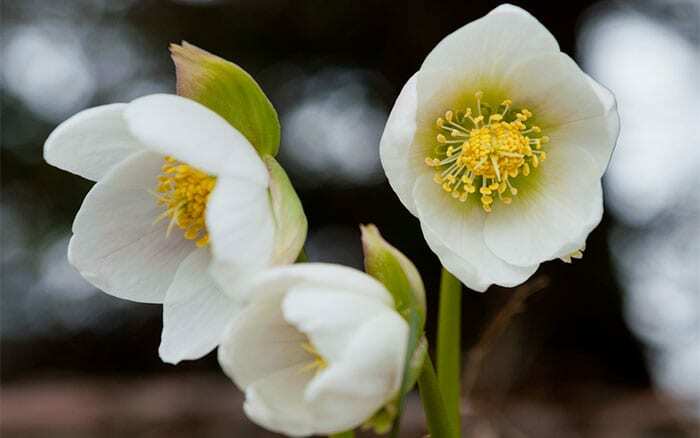 Hellebores are often known as the Christmas Rose because they can flower in midwinter. Look out for H. Orientalis varieties in white, green and even dark red. 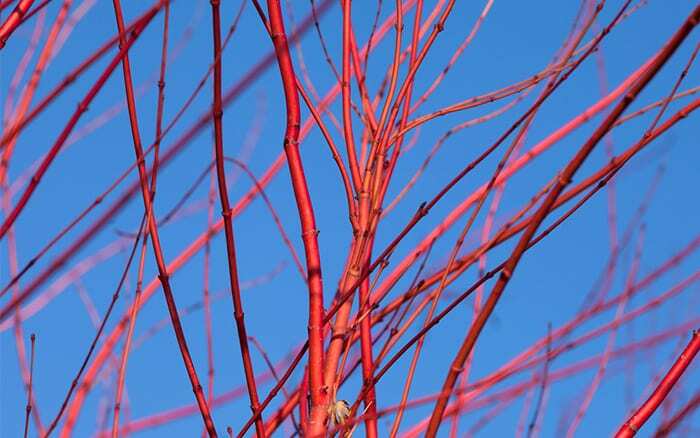 Cornus is a small woody shrub grown for its colourful bare stems in winter. Look for C. alba sibirica for red stems and C. sericea ‘Flaviramea’ for yellow bark. 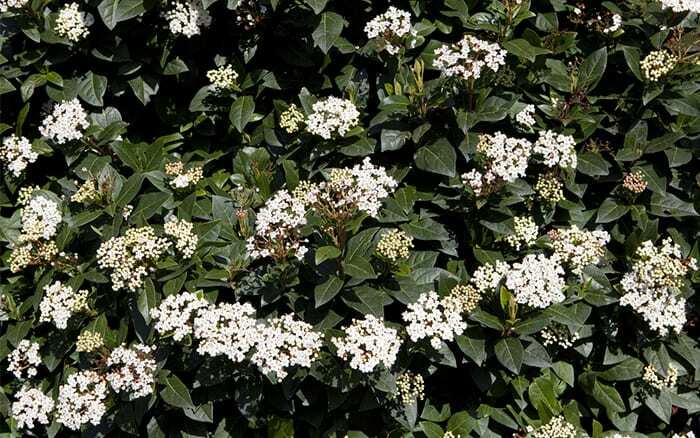 There are a huge range of viburnum plants for winter colour. Look out for evergreen varieties like V. tinus and V. burkwoodii. Viburnum x bodnantense ‘Dawn’ is also brilliant with strongly scented pink flowers. 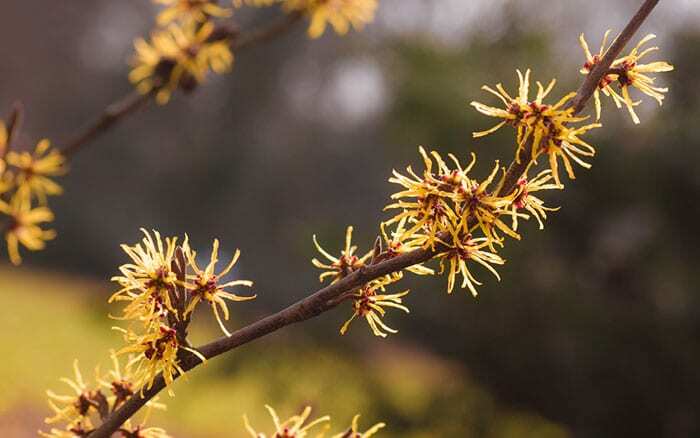 Witch hazel is grown for the wiry flowers it bears along the branches. Hamamelis x intermedia ‘Diane’ has red flowers, ‘Jelena’ is coppery coloured and ‘Pallida’ is best for yellow. A stunning range of evergreen shrubs commonly known as barberry. 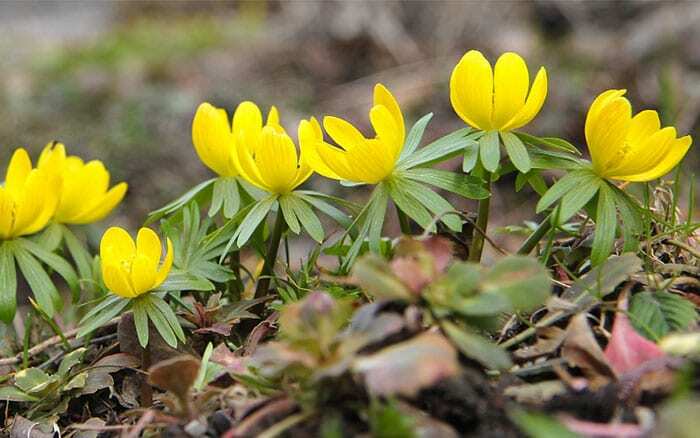 They bear sunny yellow flower spires above rich green leaves. 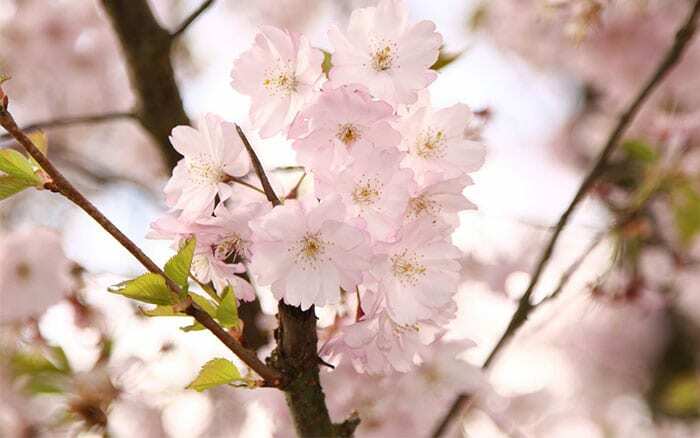 Prunus subhirtella autumnalis is an ornamental cherry tree that bears pale pink flowers from late autumn to early spring. Snowdrops can be the first flowers to open in the new year and grow happily under trees and shrubs. Look for Galanthus nivalis for a woodland style, and elegant G. ‘Magnet’ for flowers that dance in the breeze. 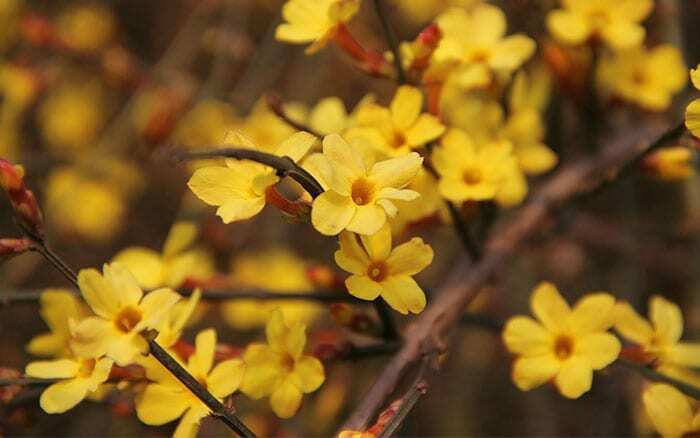 Winter jasmine (jasminum nudiflorum) is a scrambling plant with yellow star-shaped leaves that can be trained easily with wires or trellis as a climber. Perfect for archways or just scrambling over low walls. Some daffodils come up so early they can bloom in winter. 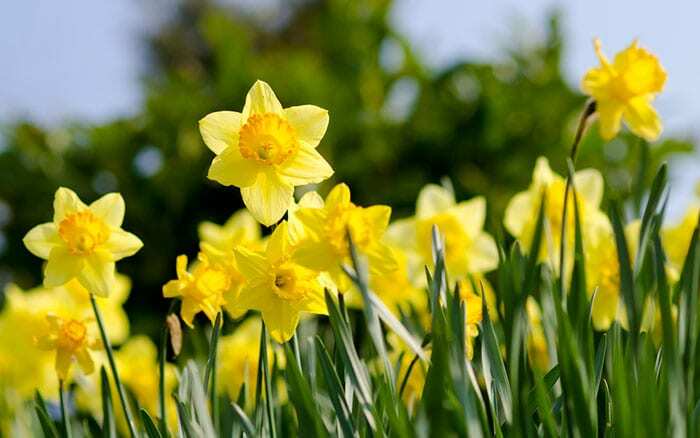 Look out for Narcissus ‘Rijnveld’s Early Sensation’ from January onwards, and ‘February Gold’ that flowers slightly later. 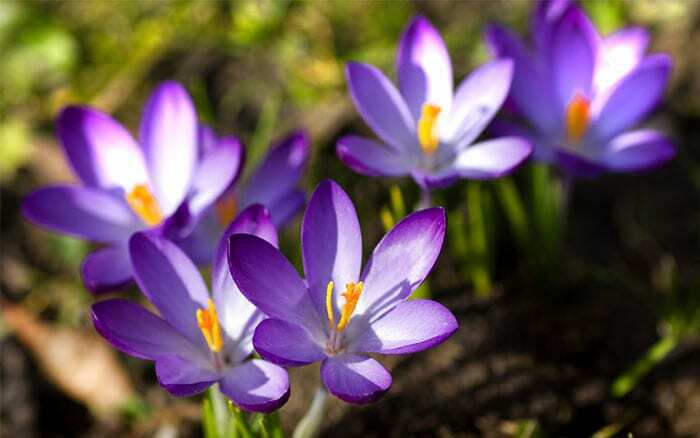 Crocus flowers are a sign that winter is fading and spring is coming. 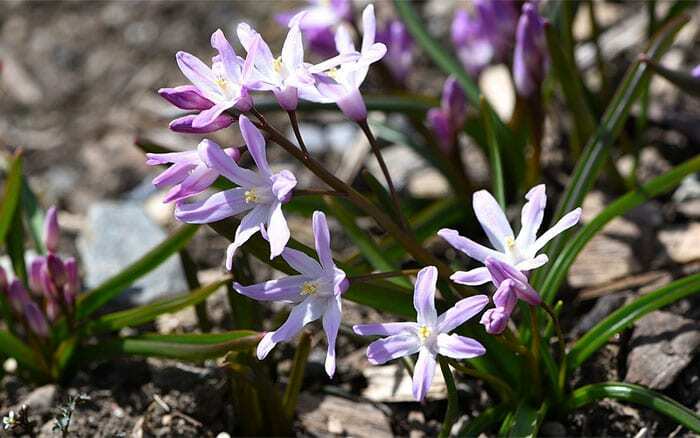 Their upright, cup-shaped flowers look great in pots and borders, and poking up among the lawn. Glory of the Snow can flower even when there is snow on the ground. Grow C. luciliae for star-shaped blue or pink flowers with white centres. 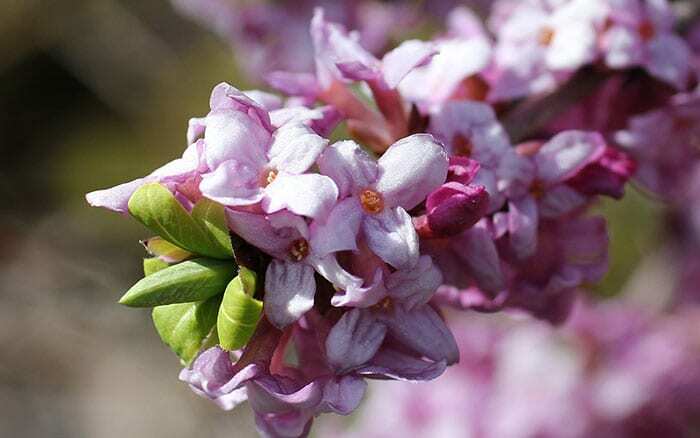 This shrub has intensely fragrant flowers in winter and early spring. Look for D. odora and D. bholua and grow near gates and doorways. 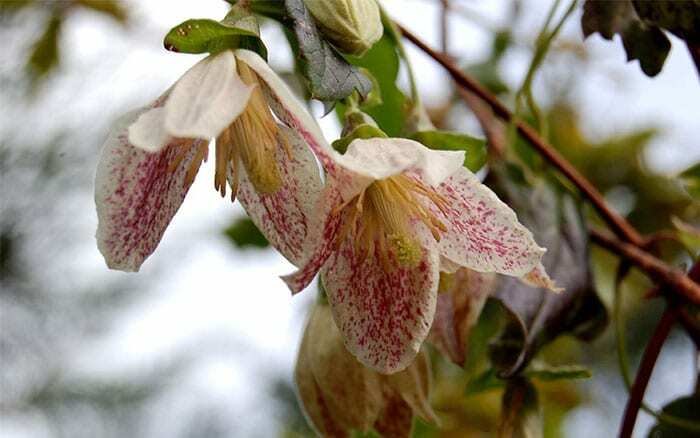 Cirrhosa is a winter-flowering evergreen clematis. C. cirrhosa var. purparescens ‘Freckles’ flowers first with creamy bell-shaped flowers and speckled petals. Also try the Mallorcan C. cirrhosa var. Balearica. 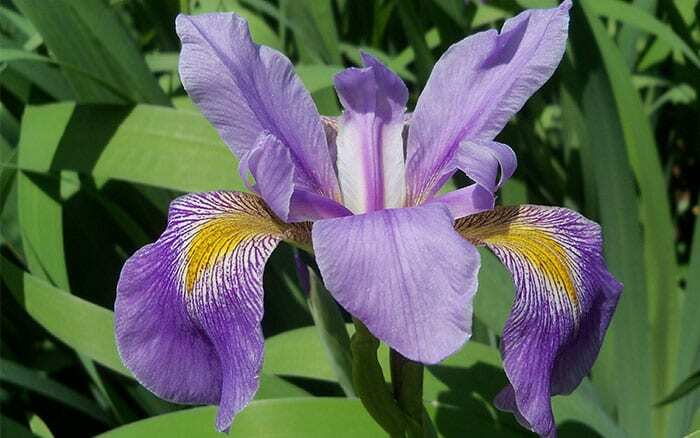 Also known as the Algerian iris, these plants produce perfumed violet flowers with yellow and white patterns. 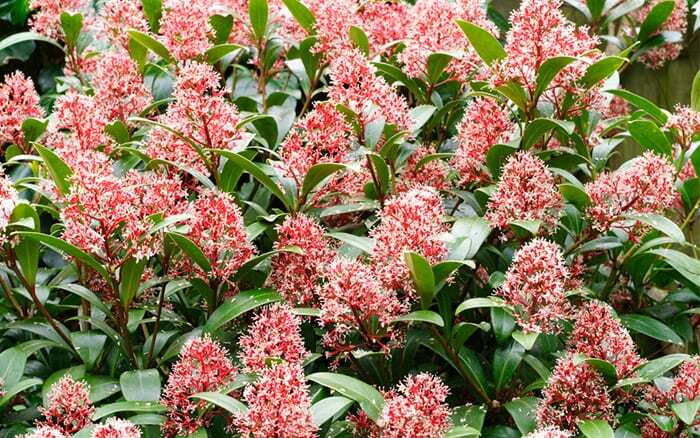 These are evergreen shrubs that produce panicles of creamy flowers and red berries. You need a male and female variety for berries – ask your supplier. Sweet box is well-named. 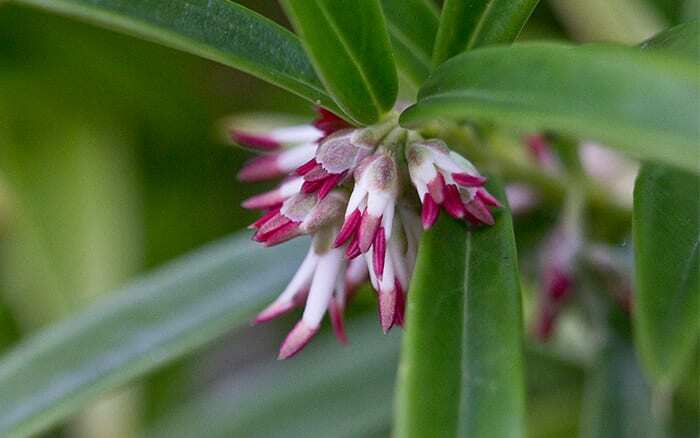 Its intense fragrance can be detected from across the garden. It produces tiny perfumed creamy flowers in winter followed by shiny black berries. Evergreens don’t have to be green! Look for unusual leaf colour like blue spruce, Juniper Blue Star or yellow and gold conifers. Frilly pink ornamental cabbages look great in containers while photinia and euonymous light up borders. You can also try berrying shrubs like holly, cotoneaster and pyracantha. 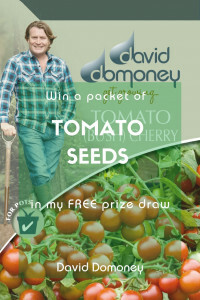 Plus check out the best plants for spring, for a display from early spring right through to late spring. These flowers all look beautiful, I have always been a sucker for heather to be honest. 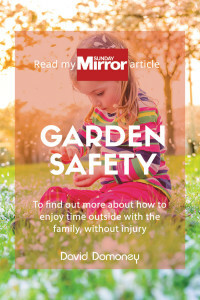 Thanks for a great article. Thanks for this. I’m going to look for some of these this week! I really like the post, thanks. 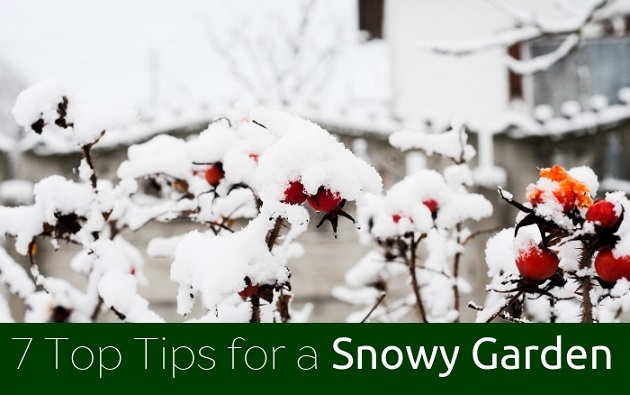 These are some really great options for a winter garden. I loved the simplicity of this article! Thanks so much for posting. Flowers are so beautiful. I really appreciate the writing in this piece. Thanks for the flower pictures, David. Awesome! Does this also mean you can sow them in September? Thanks for your comment. Not all of these can be sown in September unfortunately. 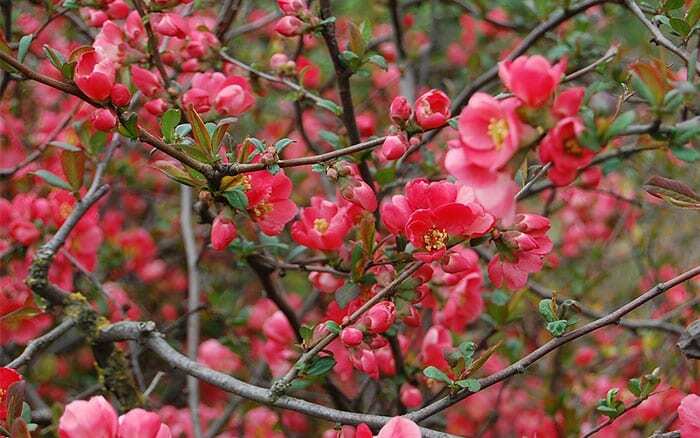 Japanese Quince, Daphne and Winter aconites for example, must be sown around Spring. Crocus, heather and pansies can be sown in late September. Thank you so much for the information. I was looking for something to put in a pot for some color during the winter months. I believe this has given me several very good Idea’s. It was also very easy to find. Thank you . Thanks for your comment. There are many great plants to put into the ground now. Try planting begonias, wintersweet, lilies and allium bulbs and deep-rooted roses. 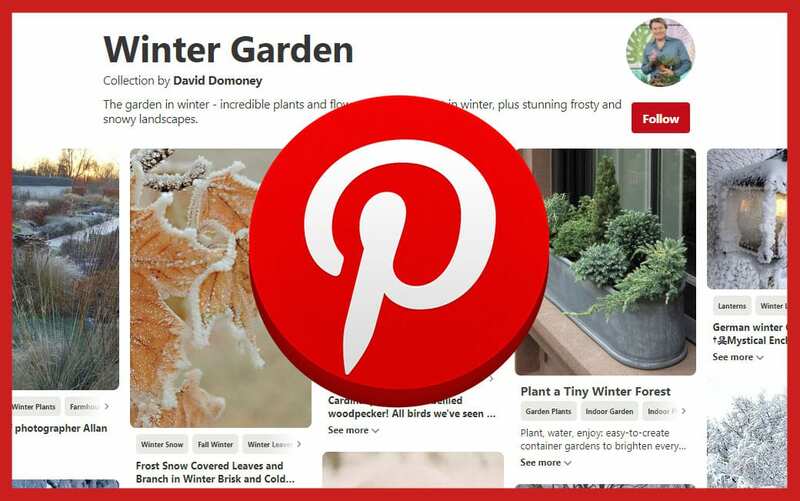 Check out my top plants for February colour blog for more! I hope this helps!